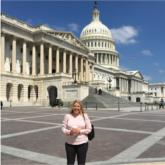 This past weekend, AABC's Board of Directors met in Washington, D.C. 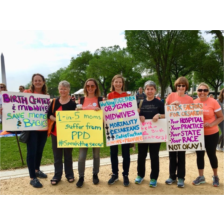 Many of us also attended the March for Moms on Sunday and made more than 25 visits to key legislators on the Hill on May 7th and 8th. 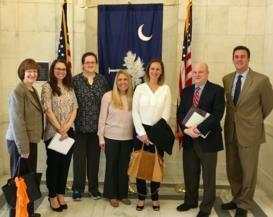 We are excited to announce that we are getting close to having our birth center bill, the BABIES Act introduced! As soon as the bill is introduced we will send out the bill numbers so you may contact your elected officials. Watch for that announcement. Contact me if you believe your legislator will co-sponsor this bill. We need bipartisan support! 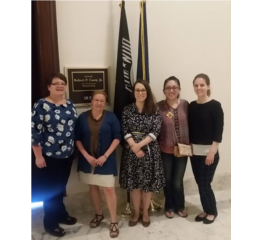 Maternal Health Accountability Act (S.112) which would make grants available through HHR for states to implement Maternal Mortality Review Boards and to better identify causes of maternal deaths related to pregnancy. Currently in Senate HELP Committee. 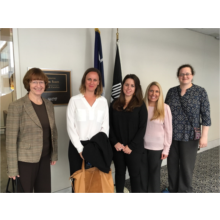 Improving Access to Maternity Care Act (S.783) which addresses maternity care shortages and passed the House in early 2017. The bill is currently in Senate HELP Committee. Manage your email preferences in your account profile on BirthCenters.org. Simply log-in in to your account with your user name @@username@@, and select "manage profile." Don't have an account? Unsubscribe here - @@unsubscribe_url@@.